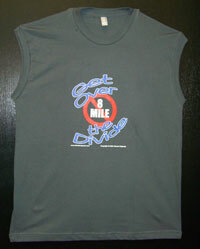 Black T-shirt with white lettering. 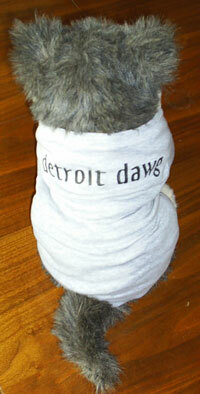 Detroit Originals logo on sleeve. 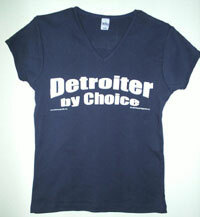 Navy T-shirt with cap sleeves and white lettering. Runs small. 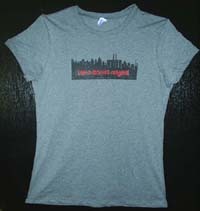 Grey heather with "I am a Detroit Original" in red on black skyline. 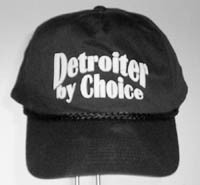 Charcoal grey heather with "I am a Detroit Original" in red on black skyline. Cap sleeves. 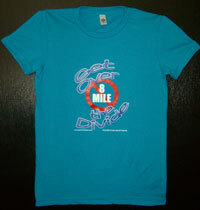 Teal T-shirt with cap sleeves and white lettering. Runs small. 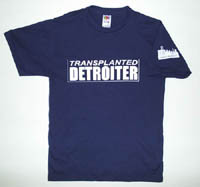 Navy T-shirt with white lettering. 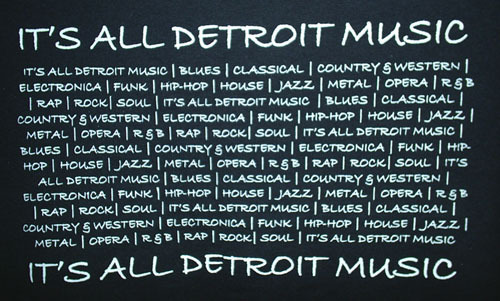 Detroit Originals logo on sleeve. 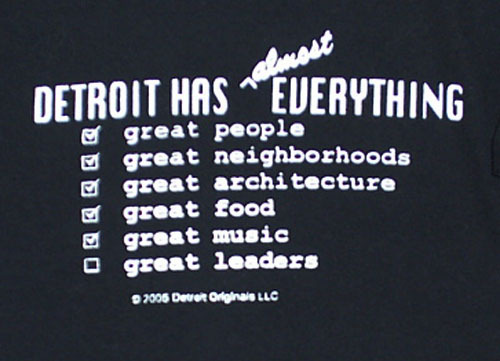 Lists a variety of music types between the statement "It's All Detroit Music". Click on image for detail view. 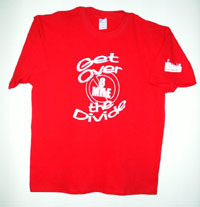 Red T-shirt with white lettering. 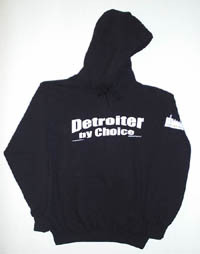 Detroit Originals logo on sleeve. 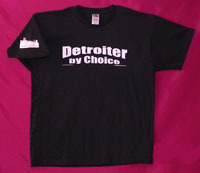 Black T-shirt with white lettering. 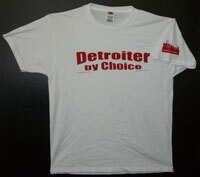 White T-shirt with red lettering. 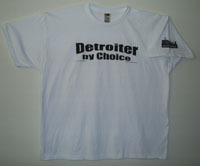 White T-shirt with black lettering. 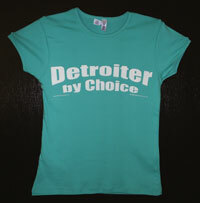 Please Note: Designs and colors may vary as our product line evolves.